Our herbal medicine for diabetes treatment is formulated with pure and safe to use material. Our "Ojamin" - to Eradicate Diabetes - is away from any side effect and does not include any chemicals for its formulation. Our antidiabetic drugs are tested by our experts to ensure that they are as per F.D.A. norms and the market standards. We are extremely engrossed in trading, wholesaling, retailing and supplying a premium quality Ojamin Herbal Liquid Medicine. The offered medicine is processed utilizing the finest quality chemical compounds and ultra-modern technology at vendors’ end in sync with industry norms. The provided medicine tones up pancreas to produce insulin adequately and cleanses body system. The medicine offered by us is widely demanded by the clients owing to its different features like long shelf life and purity. 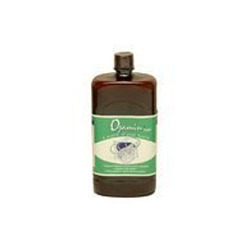 Looking for Ojamin Herbal Liquid Medicine ?